Soft drinks are carbonated beverages. They are commonly also known as soda, soda pop, pop or tonic. While occasional consumption of these types of beverages may not cause any negative effects, drinking them on a regular basis is not healthy. Cutting back on the number of soft drinks you consume -- or eliminating them from your diet altogether -- is the best way to prevent associated health problems. Non-diet soft drinks contain high amounts of sugar which adds calories to the daily diet. Regular consumption of soft drinks has been linked to obesity in both adults and children. Soft drinks as well as energy or sports drinks, sweetened teas, fruit juices and other high-calorie beverages, can lead to increased body mass index as well. Obesity and a high body mass index are risk factors for many chronic health problems such as heart disease, diabetes and some forms of cancer. While still not a healthy alternative, substituting diet soda for regular soda will at least reduce caloric intake and can help to shed unwanted pounds. However, a better solution is to replace the soda, with calorie-free water and three servings of low-fat or fat-free milk per day. According to an article published in 2005 by "American Academy of Family Physicians," consuming soft drinks on a regular basis may also contribute to a higher risk of developing diabetes. The sweeteners and caramel coloring added to soft drinks, may decrease insulin sensitivity. When the body becomes less sensitive to insulin, blood glucose levels can rise and diabetes can occur. Unlike water or low-fat milk, soda does not leave the body feeling full. This means that drinking soda adds calories to the daily diet, but does not curb hunger, both of which can lead to ingesting too many calories. This, in turn, raises the risk of diabetes. Since drinking soda adds sugar and calories to the diet, it may also raise the risk of developing metabolic syndrome, which raises the risk of a heart attack or stroke. Metabolic syndrome is diagnosed when waist size is greater than or equal to 35 inches for women or 40 inches for men, when fasting blood glucose level is100 mg/dL or higher, when triglyceride levels are 150 mg/dL or higher and when blood pressure is greater than or equal to 135/85 mmHg. Having levels of beneficial cholesterol, called high density lipoproteins or HDL, that are below 40mg/dL for men or 50 mg/dL for women, is another diagnosing factor. It is also important to note that diet soft drinks also appear to contribute to this problem. This is because those who drink soda of any kind tend to eat an unhealthy diet that is high in fat and calories. Ingesting sugar can contribute to tooth decay because acid is produced when bacteria enters the mouth and mixes with sugar. When the acid attacks the teeth for 20 minutes or more and causes plaque buildup on the teeth and gums, it leads to tooth decay. While it is not necessary to cut out consumption of naturally occurring sugars from healthy foods such as dairy products, fruits and vegetables, it is important to limit intake of processed sugary foods, such as soda, that do not provide any nutritional value. 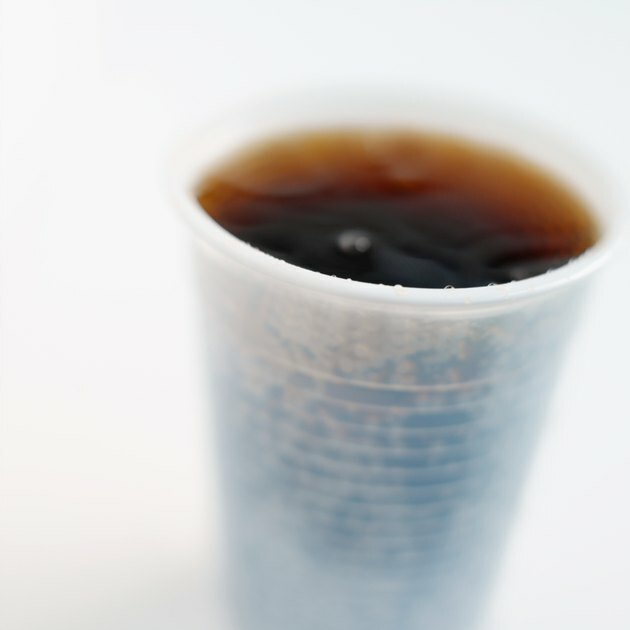 Given the calorie and sugar content of soda, it is best to cut it out of the diet completely. A can or two of diet soda a day may not be harmful to health. Other than that, go for plain water, sparkling water or water with cranberry or lemon added to it for a healthier choice. The Medscape Journal of Medicine: Soft Drinks and Weight Gain -- How Strong Is the Link? Which Is Healthier: Clear or Dark Soda?